If you’re looking to transform your bedroom, a balcony can work wonders. Not only do they add more space to your room, those large glazed doors bring in spades of natural light. And with sunlight triggering endorphins in our brains, you could say they make for the ideal happy space. According to research by London estate agents Marsh & Parsons, having a balcony on your home could add up to 25% extra value to your property. We mention this up front because actually installing a balcony can be a bit of tricky process, so it’s worth baring the rewards in mind before you get started. With the exception of the Juliet balcony, you will require planning permission to install a balcony onto your home. Planning permission can sound daunting, but if you get a good architect on board to act as your planning agent, this can be a relatively painless process. We recommend an architect, as they will be best placed to design and submit plans your local authority will approve. Impact on neighbours - will your balcony impose on their privacy? How will this be countered? Upkeep of the property’s aesthetic - will your balcony blend in with the rest of your home? This is especially important for period properties. Loss of light - will your balcony cause the rooms and garden areas below to become dark and overshadowed? Fall safeguarding - You balcony must include a guard rail that is at least 1100 mm high and designed to prevent a sphere with a 100 mm diameter passing through any openings. At Resi, we offer a comprehensive planning package, where our team will handle all the nitty gritty on your behalf. Why not give our team a call to learn more? Now that we’ve covered all the paperwork involved, let’s get down to the fun bit. Choosing your balcony! Here are some of our favourite designs, taken from both our own work and our Pinterest. Could one of these be the one that gets your heart singing? 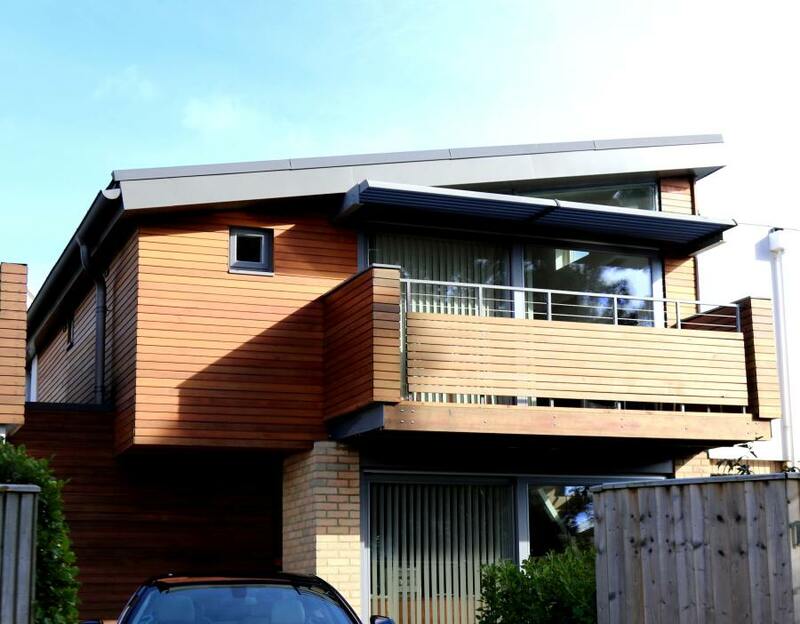 Designed by Resi, this loft conversion features what is known as a Juliet balcony. Though it features no added floor space, the open double doors give the impression of outside space, while also bringing in tones of natural light. What’s more, the Juliet is the only balcony that comes under your permitted development rights - meaning you don’t need planning permission! If taking your balcony out further, you’ll need to consider how the new floor space will blend into your interior. We love this bedroom example, as the rustic interior design has been mirrored in the wooden boards of the balcony. If you look closely, you can see those boards leave small gaps in the balcony floor, a good solution for allowing light to pass on to the areas below. Balconies don’t just have to float on the outside of your home, as this example proves. Creating another access point into the garden, can be a great way of connecting your bedroom to your green space. By adding a table and chairs, these stairs also allow friends and family to enjoy this outdoor dining area. The ideal place to watch the sun go down with friends in the summer. This Velux cabrio window balcony is a great alternative to Juliet balconies, if you’re looking to avoid the need for planning permission. Like a Juliet, this balcony won’t add any extra floor space, but the extending handrails allow you to peer out over your garden - giving that lord of the manor kind of vibe. This is perfect for any bedroom located in a loft conversion, and makes great use of the pitch of your roof.